The Vela supernova remnant resulted from a star that exploded 11,000 – 12,300 years ago and is one of the closest to us. This interesting structure gives the appearance of a bird’s wings or a bow tie. It is about 2.5 degrees west of the 2.2 magnitude star, Suhail – one of the stars of the Vela Constellation. 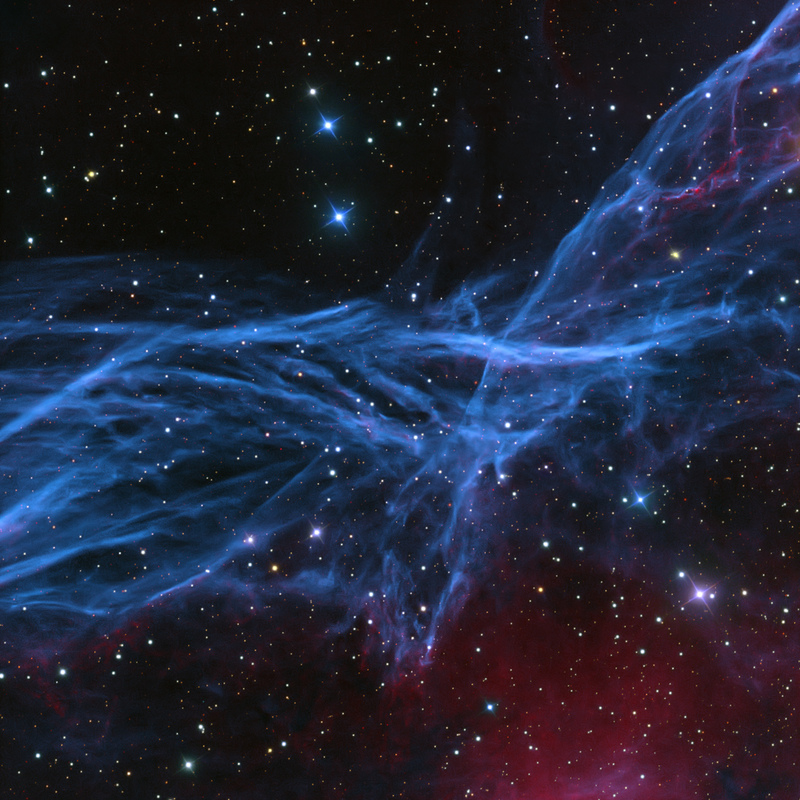 It is also between nebulae RCW 34 and 35.� The filament details were brought out with deep H-a and OIII narrowband data color mapped to red/magenta and blue/green, respectively, to provide a “natural” color.� Star colors were added using RGB data.